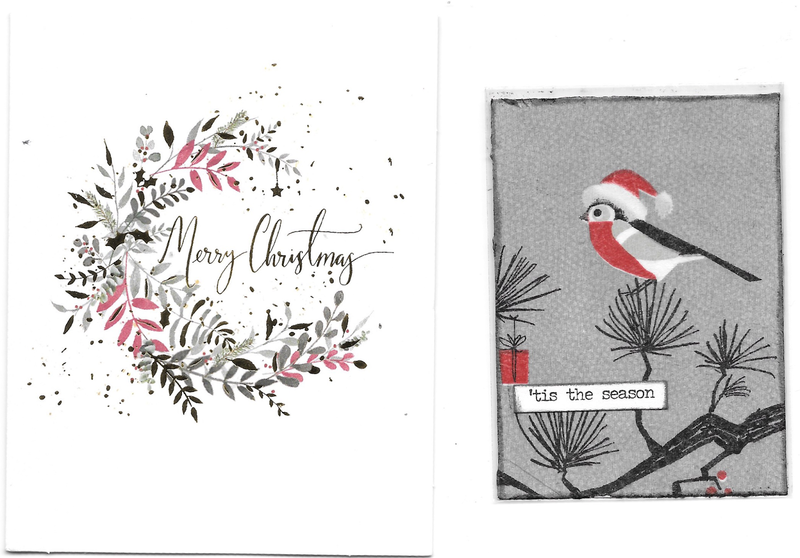 I'm not normally a fan of abbreviating Christmas to Xmas, however it allows me to have a bonus post for the current Sunday Stamps A-Z. I bring you a tale of two Xmas cards that decided to have an adventure. 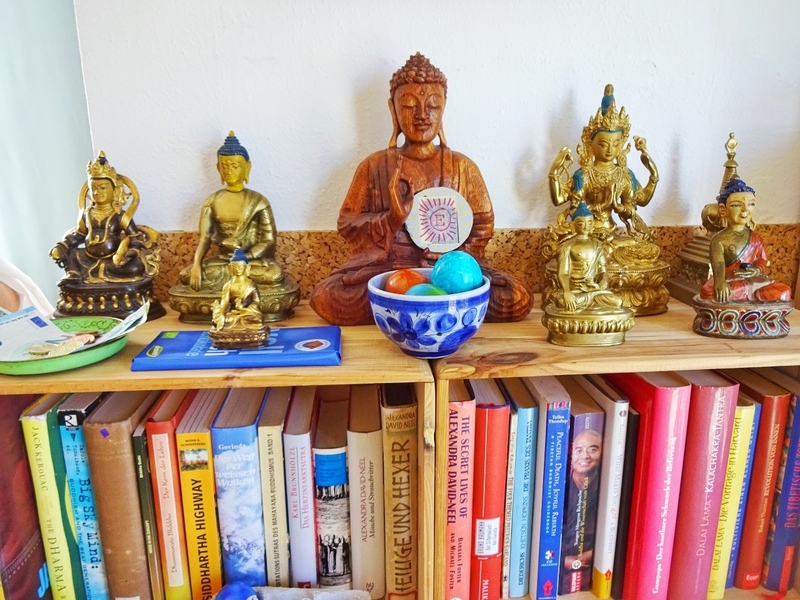 The first is from Fabienne. The polar bear stamp is wonderful, and the stained glass one is part of a set titled Structure and Light issued in 2016 by La Poste. They make a perfect pair for Xmas postage. Posted December 18, it didn't arrive until January 29, with no signs as to why it took so long (usually mail from France arrives in 5-10 days). There were Xs inside, too. The second late arrival had an adventure that is easier to figure out. Eric sent this on December 13. 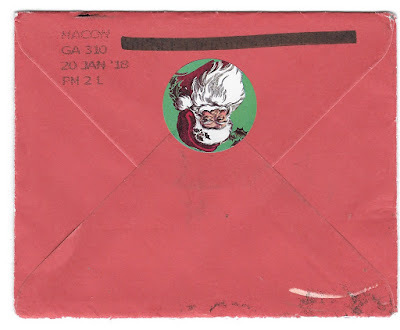 For some reason it ended up gaining a Macon, Georgia postmark December 23. I'm not quite sure why it went there, since it is clearly addressed. 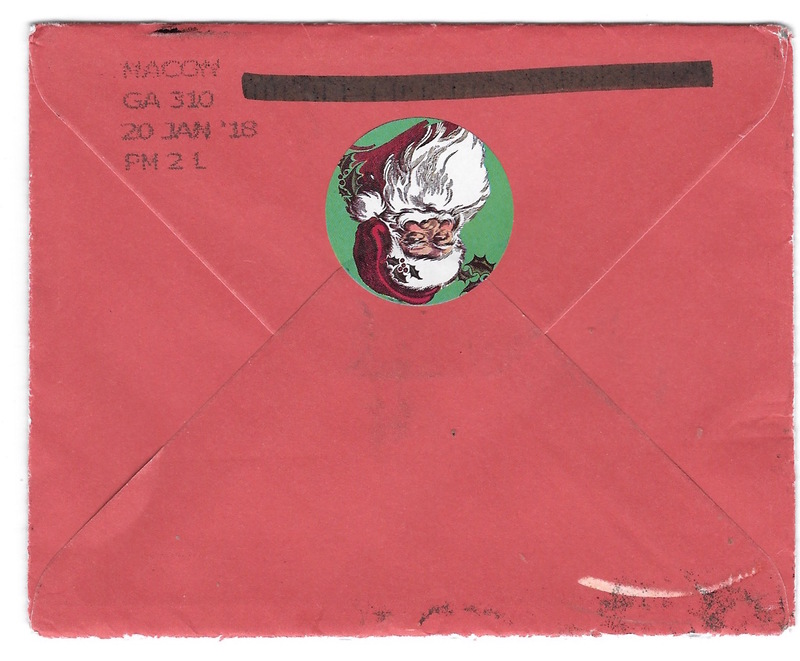 It must have done the rounds in Macon, because it gained another postmark January 20, and it finally arrived here January 23. 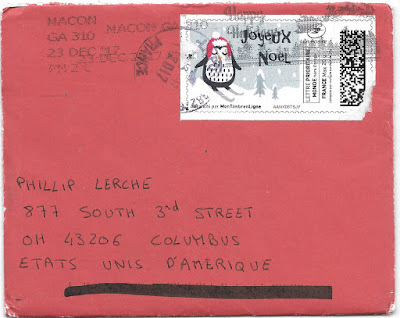 You can see that the IMB has been blacked out, so I assume at some point this poor envelope gained the incorrect barcode, which sent it around Macon a few times before finally being corrected and successfully being delivered more than a month late. 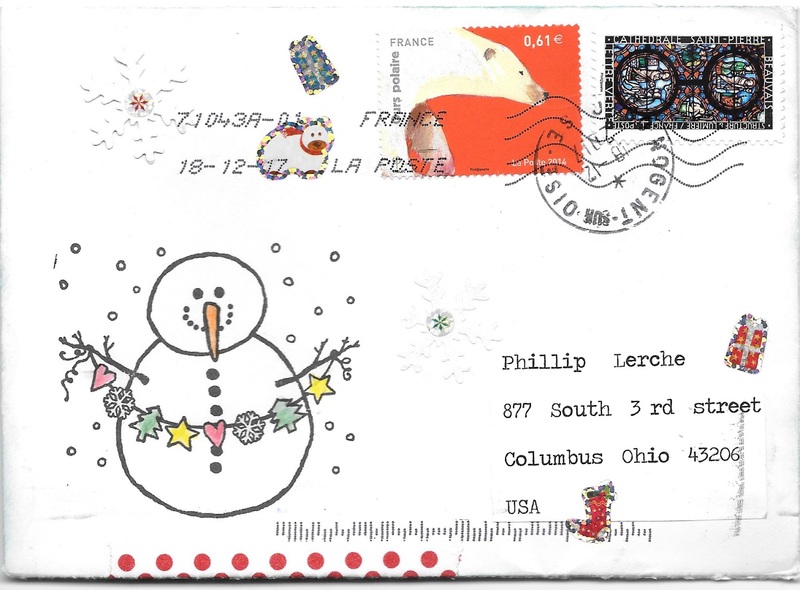 The stamp is actually a print at home Xmas label featuring a penguin, wishing me a Joyeux Noel. Included with the card was this wonderful ATC oil similar colors. A very nice piece of work, Eric, I love that it has a nice feel to it - is it collaged? Eric and I seem to have had trouble with our holiday mail the last few years :) Maybe 2018 will be better. 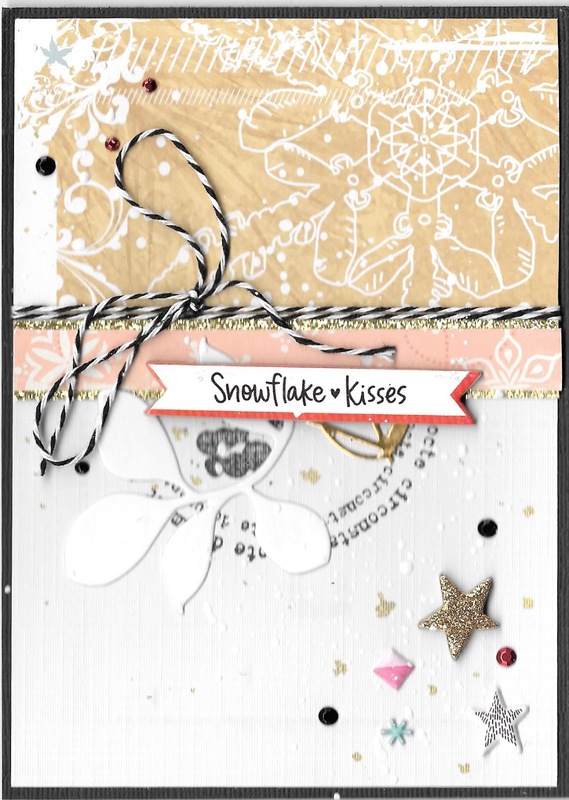 This has been a bonus post for the letter X of Sunday Stamps. In fact the ATC is my first attempt at using a paper napkin collaged on a piece of carboard. I never would have guessed that - it turned out really well. I would have never thought of Xmas for X! Those were real mail adventures! Always interesting to see which extra ways mail can walk when being missent to an other country. Seems so crazy when letters are nice and clearly addressed. 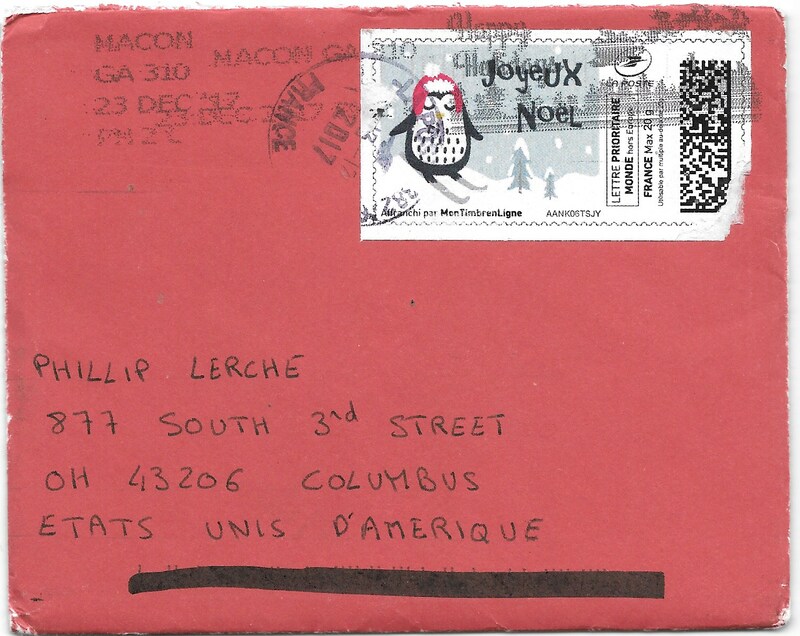 I laughed at the thought of it being sent around Macon many times because of the barcode, happily a human sent it on its way. Great adventure. Yes, I assume a human figured out the problem, as I think once the barcode is applied that is all the machine knows. I don't know if there is a similar expression in Spanish or Catalan - it usually refers to getting unexpected gifts when it isn't Christmas, with July being as far away from Christmas as you can be.